What a delightful little book, not only for Proustians but for bibliophiles alike. Foschini's reportage of interviews lead to the story of Jacques Guerin, whose interest in Proust grows all the more idolatrous after an illness sees him treated by Proust's brother, Robert. Ensuing, and led by his mother's model of business and collecting--a famous perfume tycoon and entrepreneur--Guerin becomes embroiled in the Proust family drama and rescues many of Proust's letters and papers from a near bonfire after Robert's death. 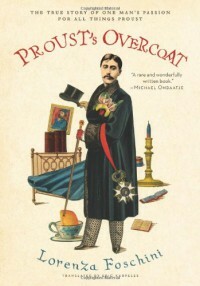 This is a book about Proust, but it's also about the legacy of a writer, preserving his work, and trying to see that his reputation is intact for the generations to come. 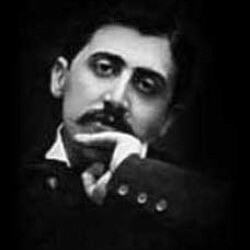 As much as the memoir is about collecting--it begins with a wonderful scene recollected by Foschini in which Proust's famous overcoat is unveiled for her to touch, suggesting that the interest or fervor in preserving and collecting is one that is passed on to others--it is also very much about memory: remembering Proust, remembering his text, and piecing together the puzzle of his manuscripts. An absolute pleasure, and strongly recommended to those who are fans of the period as we see mentions of, letters to, or fleeting memories of figures as varied as Visconti, Picasso, Violette Leduc, Jean Genet, Jean Cocteau, and Modigliani. A true testament to the power of Proust's message and his legacy, as well as the debt we owe to those of genius to ensure their posthumous work is treated with the care, respect, and love that it deserves.